The Rock had some fun with fans after being on set. It’s no secret that The Rock loves Vancouver. But by now, it should also be clear that he can’t stop having fun with his fans. 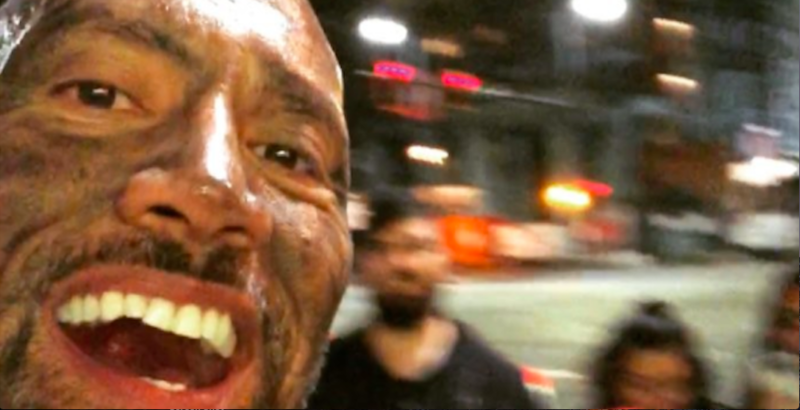 In the latest instalment of what has become a series of Instagram videos and pictures chronicling his time here while shooting the new blockbuster film Skyscraper, Dwayne “The Rock” Johnson decides to have some fun with some eager fans after another long day on set. “They have a sign here that says, ‘hey Rock, come say hi,'” Johnson explains. And while, that is ultimately what he ends up doing, The Rock’s sense of humour is on full display as well, as he puts his own spin on the simple request. This isn’t the first time he’s greeted excited fans with a smile late a night, after a day of shooting. Late last month, the former WWE superstar-turned actor had another run-in with fans, and at first made it seem like he had almost had enough of it all. But, similar to this video, there was a twist to his plan. Well played, sir. Thanks for the laughs.